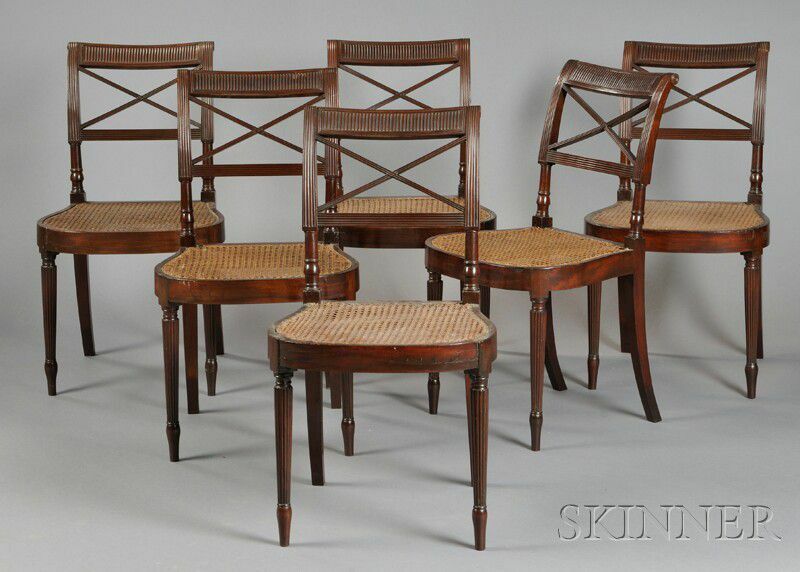 Set of Six Carved Mahogany and Mahogany Veneer Scroll-back Dining Chairs, New York City, c. 1810-15, with fluted tablets above reeded cross-bannisters on turned and reeded legs, (restoration), ht. 33 1/2, seat ht. 17 1/4 in. 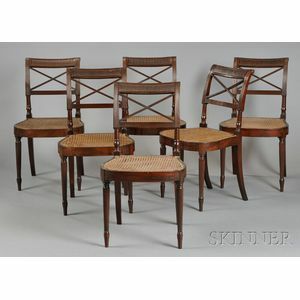 each leg pieced about 4 inches, and each chair has repairs - some with broken front legs, etc.